Marching bands and color guards often don’t get the credit that they deserve. The time and effort they put into putting on a nearly flawless performance are astronomical. 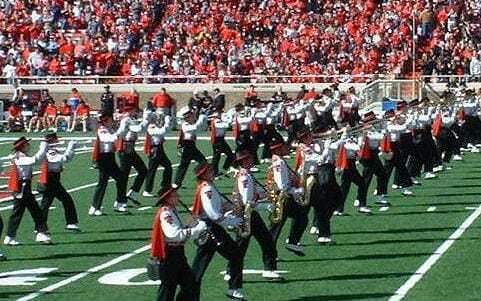 The hours spent drilling the routine and memorizing the precise moment each step and movement happens is far beyond what anyone who’s never marched would expect or believe. It’s like a dance! Just because it’s not necessarily as graceful as a ballet or as emotive as a modern dance doesn’t mean that it doesn’t take a ton of skill to accomplish the desired result. 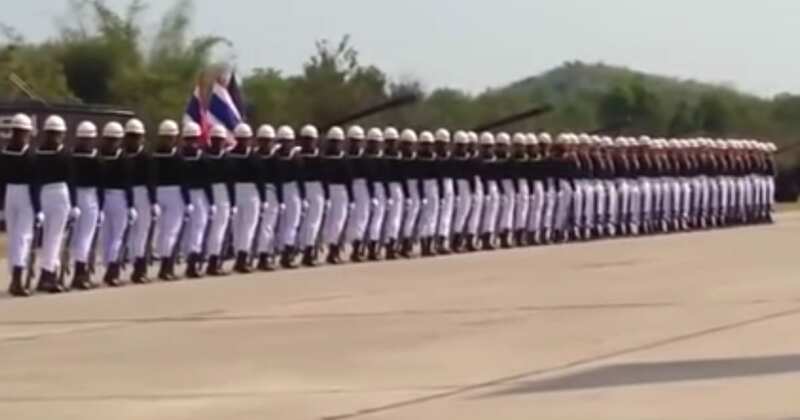 You could even say that they have a soldier-like discipline! 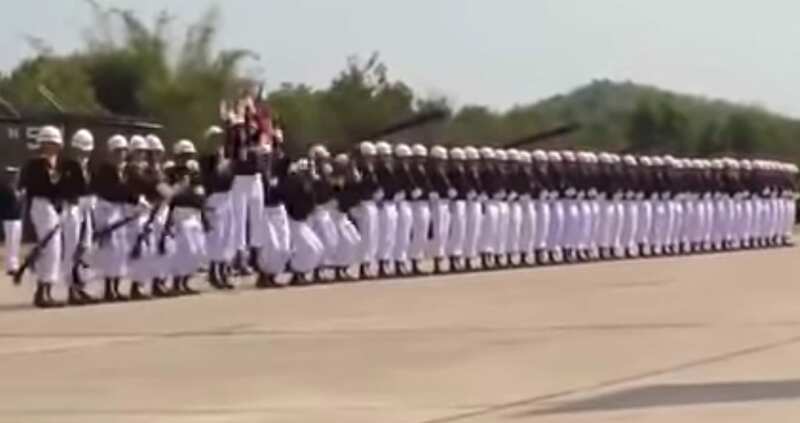 These actual soldiers take on the job of the marching band for this performance, and the result is spectacular, to say the least. All of them stand at the exact same height. With their uniforms so perfectly matching, it’s like you’re seeing in multiples. When the band starts to play, the soldiers make subtle movements one after another. The gestures aren’t that big or dramatic, but it’s not each individual that makes this performance so incredible, it’s the overall effect of the whole group moving perfectly with one another. This is the perfect visual representation of what teamwork is, folks! 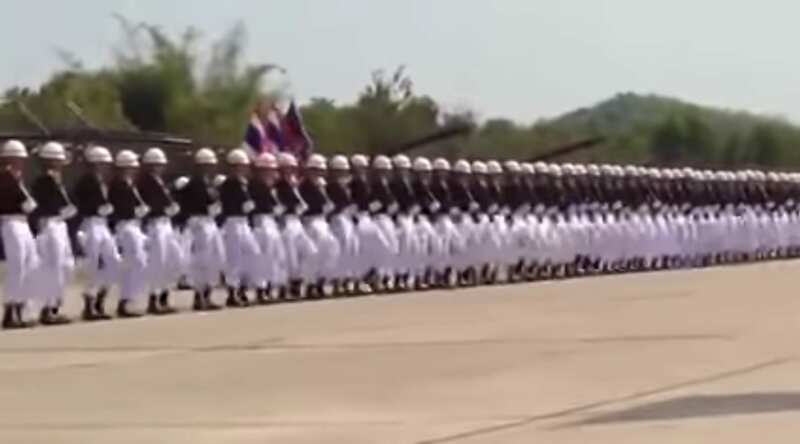 Even if one of these soldiers moves at the wrong moment, then the whole thing goes awry! While this is quite impressive, it’s also a bit silly to watch. The funniest part is when the wave goes in slow motion, and each member crouches down at an incredibly slow pace. 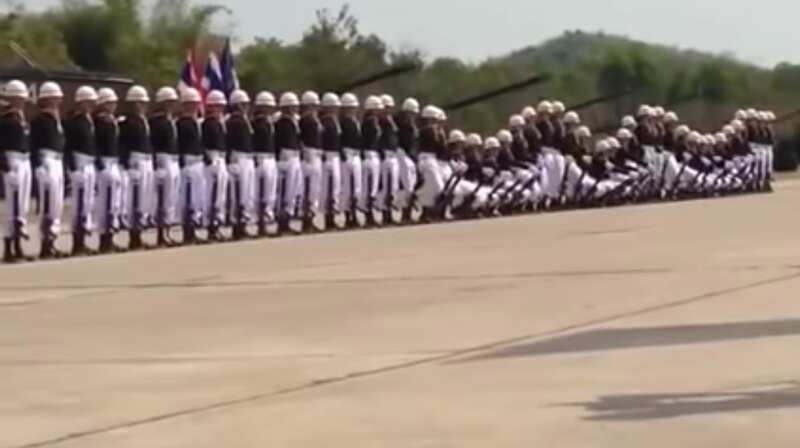 The comments on this video say that these are Thai soldiers putting on a show for the national children’s day, during a time of peace. I’m sure that all the kids in the crowd ate this performance up! What a perfect occasion. Have you ever seen anything like this before? I sure haven’t. I’d love to see what else a group like this can accomplish! I can’t say that this skill is exactly useful for war tactics! That’s for sure. However, while the extreme discipline necessary to do something like this certainly transfers over to the ins and outs of war, this is arguably a much better, more fun use of those skills and attention to detail, don’t you think?